Staff Sgt. 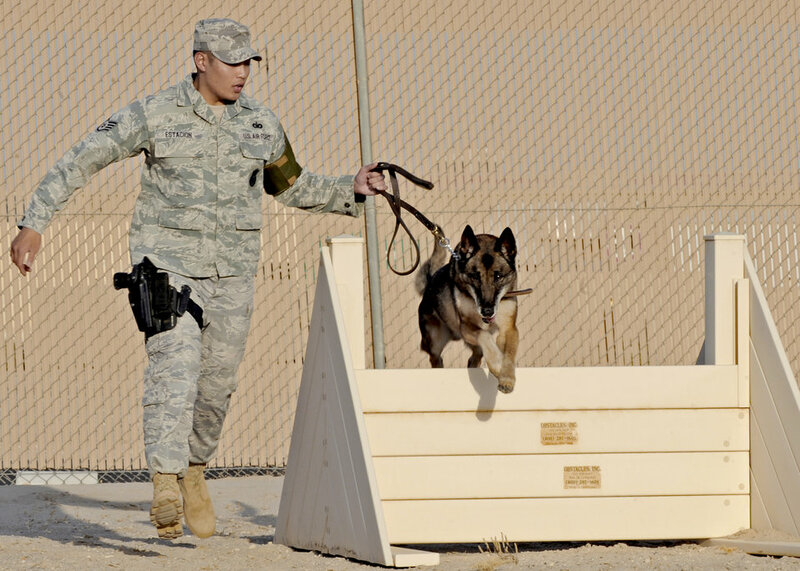 Lino Estacion takes his military working dog, Gabe, through an obstacle course as part of a routine training and exercise program July 27, 2010, in Southwest Asia. Sergeant Estacion is a dog handler with the 386th Expeditionary Security Forces Squadron.